A garage door is prone to wear from daily use, and, like most fixtures in your home, it will break down if it is not properly maintained. Fortunately, proper maintenance can be quick and easy and will prevent accidents and costly repairs if done routinely. Residents of Rochester, NY, can rely on Felluca Overhead Door to help them maintain their garage doors. These experts offer repair and maintenance services for most garage door makes and models. They also have an extensive inventory of parts and supplies. 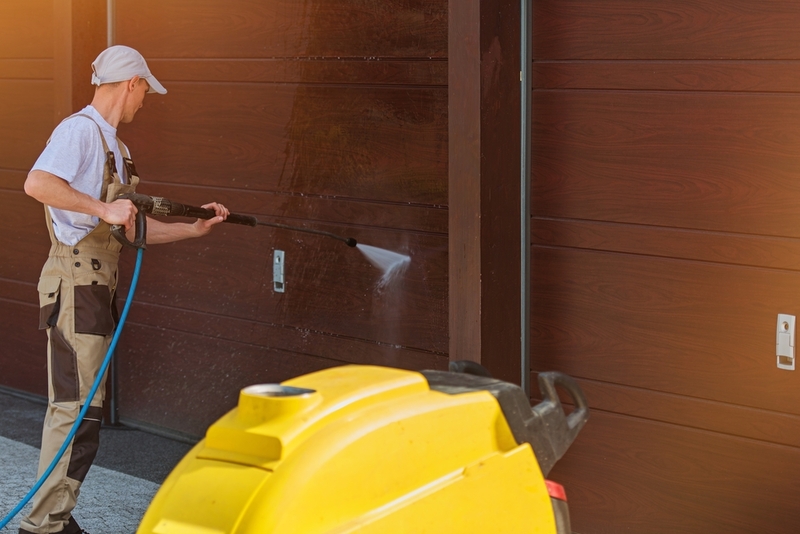 Clean the Exterior: Using a hose or a bucket of water, wet the surface of your door and scrub it down with a soft sponge or brush. Use a mild detergent solution to get rid of stubborn dust, dirt, and oil, then rinse off the soap residue and allow it to dry. Do this at least once a year or as necessary. Lubricate the Parts: The moving parts of a garage door require periodic lubrication for smoother operation. Keep it greased using an aerosol spray lubricant at least once a year. Include the rollers, lock mechanism, and hinges that hold the center of the door panels. Perform a Safety Check: Broken springs and bearings, derailed tracks, and malfunctioning sensors will prevent your garage door from opening and closing correctly. In some cases, the door can free fall, resulting in damage to your vehicle or a serious injury. Checking these every few months can prevent accidents from occurring. For a thorough inspection, hire a professional to do the job for you. Whether you need garage door repair or replacement, you can trust the experts at Felluca Overhead Door. Call them at (585) 467-2391 today to request a quote or visit their website to learn more about their exterior and overhead doors.